Lady Bobcats Assistant Coach Paul Voliva, Former Lady Bobcats/C of O alumni Kelsey Combs Howerton, Miranda Vaught, Julie Posey, and Morgan Hickey, and C of O Athletic Director Al Waller received the award on behalf of the team. Outstanding sportsmanship, citizenship, servant leadership, character, and winning are descriptors often used when talking about the College of the Ozarks Lady Bobcats. For the fourth time, the Lady Bobcats earned the National Runner-up title in the National Association of Intercollegiate Athletics Division II (NAIA D-II) Women’s Basketball Championship held in March. Equally, if not more, important (than the team’s record), is the off-the-court activities that led to the Lady Bobcats receiving two of the most prestigious honors given by the NAIA and the Citizenship Through Sports Alliance (CSTA). 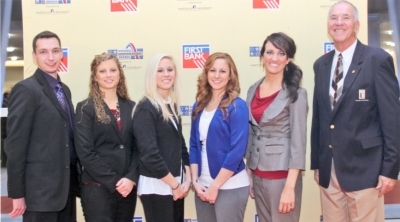 Recently, the NAIA and CTSA named the Lady Bobcats as the recipient of the “All That’s Right in Sport” award, which the team formally received on November 17, at the 13th Annual National Sportsmanship Awards (one of the most renowned sports awards events in the country) hosted by the St. Louis Commission and CSTA. What caught the attention of the NAIA and CSTA, that team members or their coaches would never boast, is that the Lady Bobcats quickly responded to the needs of nearby Joplin High School, which was destroyed by an EF5 tornado May of May 2011. 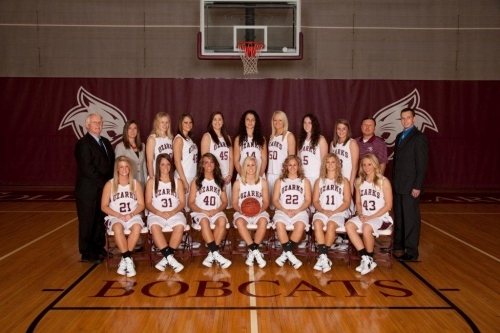 The Lady Bobcats would not sit idly by as Joplin residents struggled to rebuild. Only a few weeks after the storm, with the help of Head Coach George Wilson and Assistant Coaches Becky Vest and Paul Voliva, the team organized a benefit game that raised $10,000 for the Joplin High School girls’ basketball team that had lost everything to the tornado. College of the Ozarks, in conjunction with the American Red Cross’ “Learn to Swim” program, will offer swim lessons for two weeks, September 17-20 and September 24-27, at the Howell W. Keeter Athletic Complex Natatorium. Lessons are offered to children ages six months through 15 years. The “Parent and Child Aquatics” program, available to students six months to four-years-old, will begin at 5 p.m. nightly. The “Learn to Swim” program, available for students ages five to 15, will be offered in two different sessions. The first session begins at 5:30 p.m., and the second begins at 6:15 p.m. Participants will be divided into groups based on abilities, and each group will have its own instructor. There are eight lessons in the program, and the registration fee per student is $60. Participants may register beginning Monday, September 17, by calling Associate Professor of Physical Education Bill Keeter at (417) 690-2567 or C of O Athletic Department at (417) 690-2393. College of the Ozarks will kick off its 2011 Homecoming celebration, themed “Life is Good…to be continued,” Thursday, November 3. Events run through Sunday, November 6. Alumni and the public are invited to participate in and/or observe many activities, including a 5K run/walk, basketball games, student activity booths and the C of O Homecoming Parade. The C of O Lady Bobcats will take on Lindenwood University, Fri. Nov. 4, at 7 p.m. in the Keeter Gymnasium. The C of O Men’s Basketball Team will play Hannibal-LaGrange University, Saturday Nov. 5, at 3:15 p.m. in the Keeter Gymnasium. The public is invited to attend both of these games; tickets may be purchased at the box office. Events on Saturday, Nov. 5, such as the 5K Run/Walk at 7 a.m. and the student activity booths open 10 a.m. – 2 p.m., are open to the public. 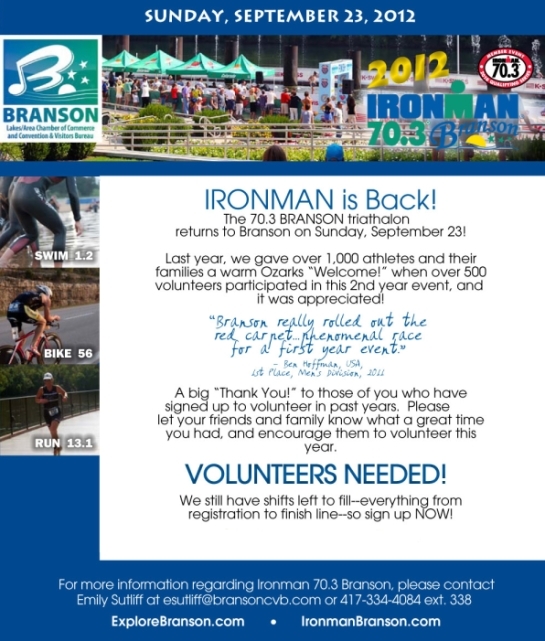 The 5K entry fee is $20, and applications are available at www.cofo.edu/alumni. For questions on the run/walk, please contact Assistant Professor of Physical Education Don Hoeck at (417) 690-2571. Those who cannot attend the morning Homecoming events are welcome to come to the Homecoming Parade. The parade will begin at 2 p.m. on Saturday, Nov. 5, and will take place along Opportunity Ave.
For more information regarding the Homecoming 2011 events, please contact the College of the Ozarks Alumni Office at (417) 690-2208. To see a complete list of events for Alumni, visit www.cofo.edu/alumni. 2 p.m. C of O Parade, Opportunity Ave.
Fees ar $75 per person or $300 for a foursome and includes cart, prizes, gifts, and lunch.